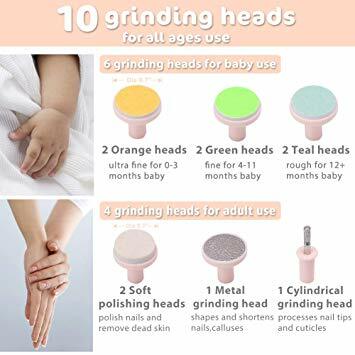 ♥10 in 1 nail care kit FOR BABY AND MOM: Better than others, this baby nail file has 10 grinding heads. 6 colored sandpapers with 3 textures are designed for different stages of babies’ growth and various needs. Electric nail file also comes with 1 cylindrical grinding head and 1 metal grinding head for adults, 2 soft grinding heads for polishing. 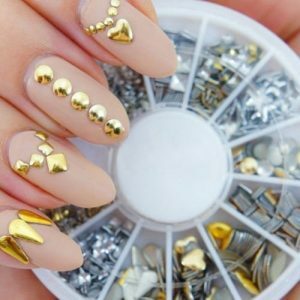 So the manicure set can be used for newborn, infant, toddlers, kids from 0 to 12 months or above. as well as adults. ♥ONE-BUTTON AND ADJUSTABLE SPEED: The Nail Trimmer is super easy to use with only 1 button. 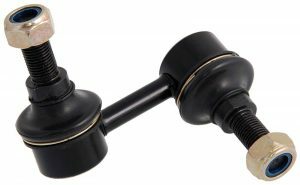 You can simply operate the modes by one hand: clockwise and counterclockwise rotation, high and low speed, switch off. The electric nail file allows you to choose rotating direction and speed when trimming different hands’ fingernails. 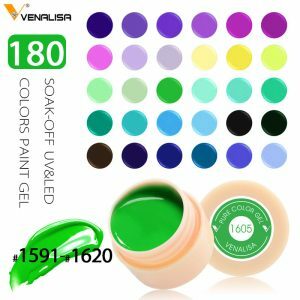 360° all-round exquisite polishing makes toenails and fingernails softer and smoother. 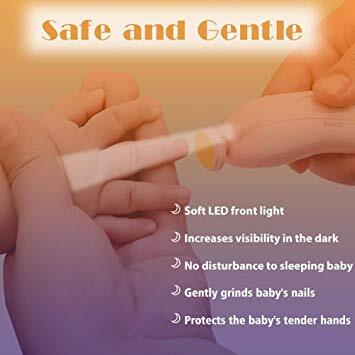 ♥LED FRONT LIGHT AND QUIET OPERATIONS: This baby nail file built in soft LED front light which will help you use it in the dark. 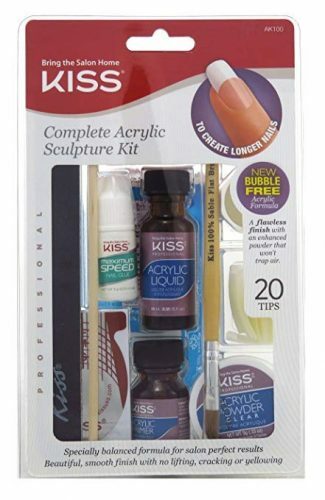 The nail care kit equips with a whisper-quiet motor. 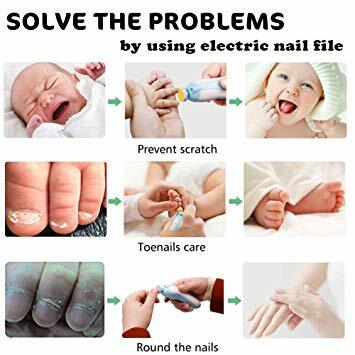 You can conveniently trim toes and fingernails without waking up the sleeping baby. 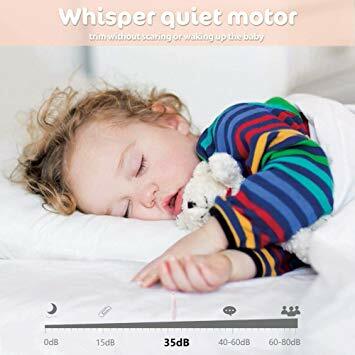 Even if the baby is awake, you won’t make any disturbance or afraid for him! Always enjoy a gentle manicure using this nail trimmer with CE , RoHS approval! 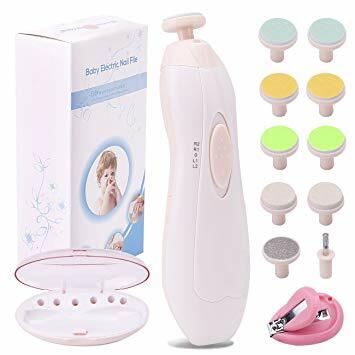 Be the first to review “Baby Nail File Electric Nail Trimmer Manicure Set” Click here to cancel reply.